For all you pudding lovers out there, I have a delicious recipe for you today! 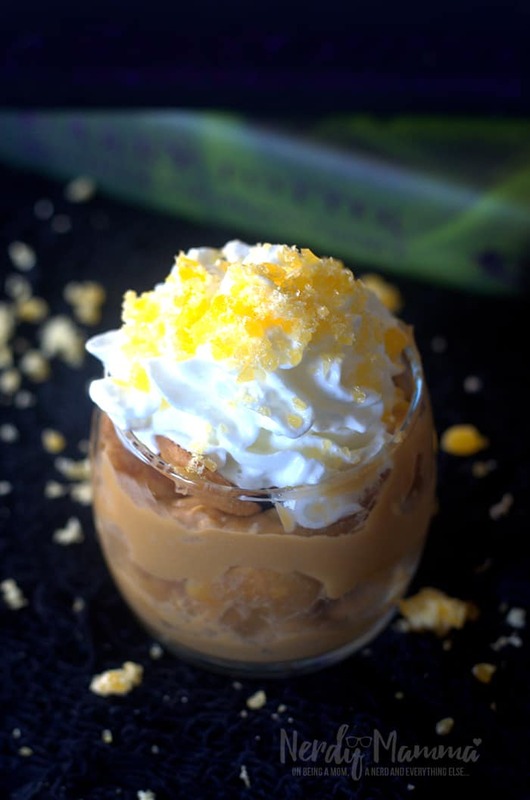 You are going to absolutely love these butterbeer pudding cups! They’re creamy and delicious, not to mention they’re super quick and easy to make. The kids in your house are going to love these. When I was making these, I had some very curious eyes looking over me. (There’s always someone wanting to see what I’m doing when I head into the kitchen.) When I pulled out the candies for the topping, it was game over. They instantly wanted to pull out some spoons and dig right in! Somedays, I’m looking for a sweet treat for the kids that they’ll love that’s also very quick and easy to make. 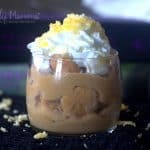 These butterbeer pudding cups are perfect for that since they take all of 10 minutes to put together. The hardest part about this is crushing up the candies to put on top. This ends up with happy kids with very little work for this mamma! Everyone in my house absolutely loves this treat! It may be very simple, but it’s also a very loved treat. It’s one that we make again and again and love each and everytime. Ya’ll, who can pass up some delicious butterscotch?! (Especially when you add those candies on top!) and it adds that extra crunch! What I love about this treat though, is it makes a great midnight snack for me when I’m just craving something sweet but don’t want to do too much in the middle of the night. Sometimes I’ll even put aside some crushed candy so I can be extra quiet! It helps satisfy those late night cravings! If you’re looking for a yummy treat for your family that’s easy and quick, this is the one for you. The pudding, the cookies, the candies, they all contribute to a very delicious treat for you and your family. 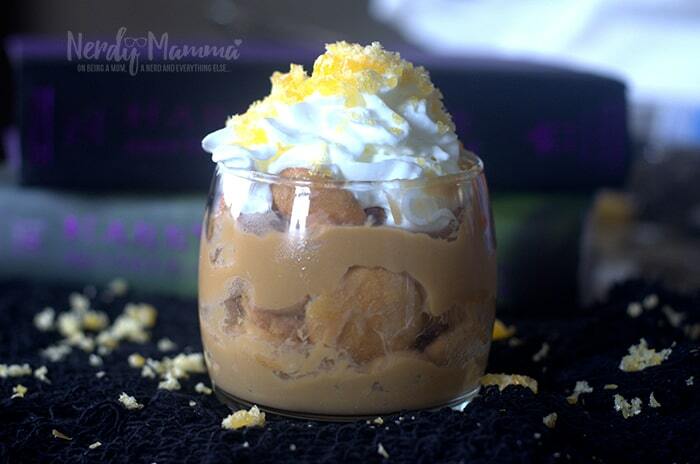 These butterbeer pudding cups are sure to be a fabulous hit in your house! 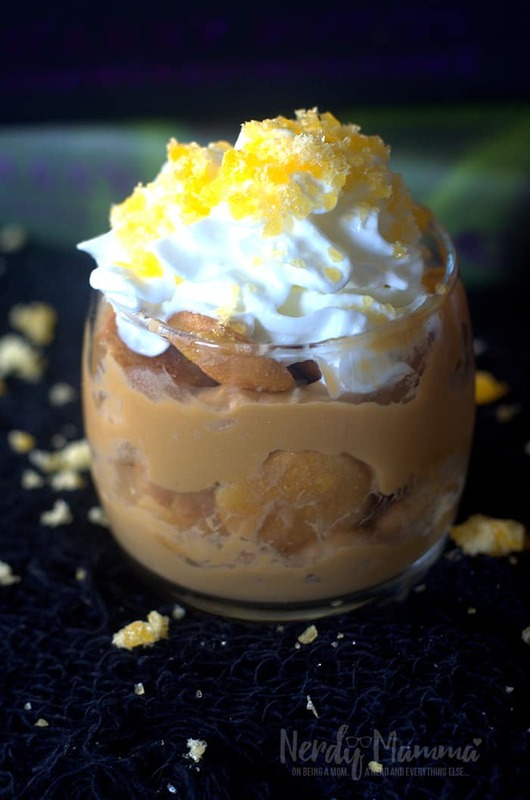 In a dessert glass, add in pudding followed by nilla wafers. Repeat in layers until you reach the top of the glass. 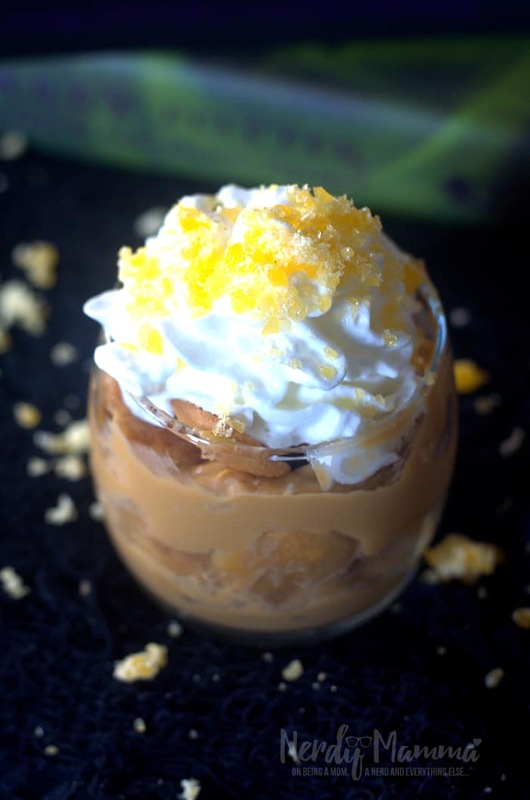 Top with whipped topping and crushed butterscotch candies. Serve and enjoy!